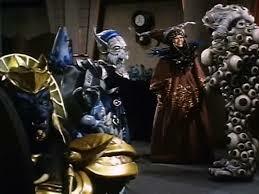 As mentioned before Power Rangers' first couple of episodes existed in a very weird space. 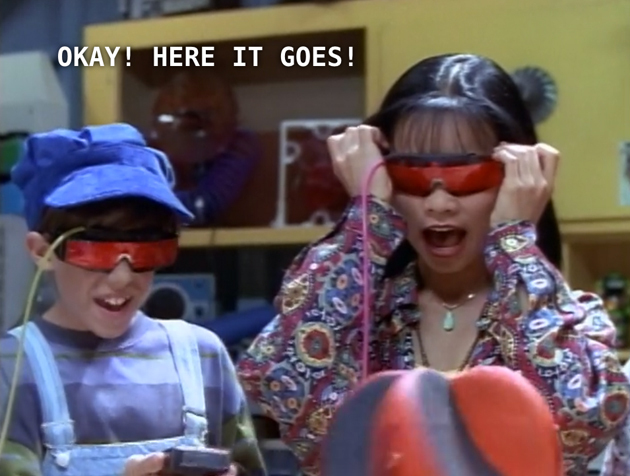 It took a long time for the show to figure out what it actually was. (The show didn't really hit any kind of stability until Tommy showed up; sorry to people who aren't Tommy fans.) Food Fight and I, Eye Guy both give you the core essence of Power Rangers- goofy teenage fun, bad puns, weird monsters, and awesome fight scenes. 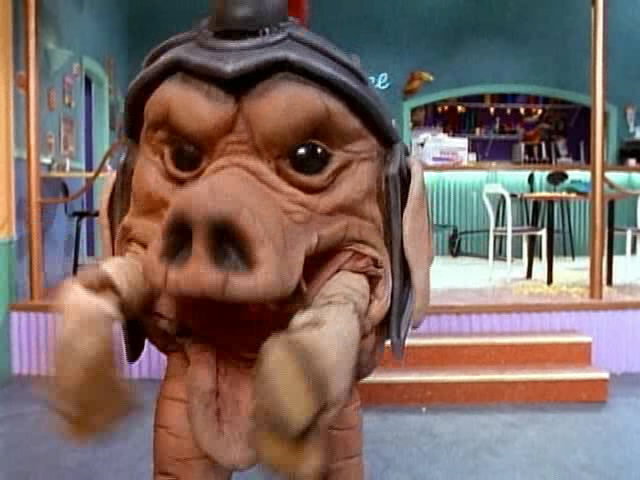 There are few people of the 90s generation who can't remember Pudgy Pig, and to a slightly lesser extent, Eye Guy. 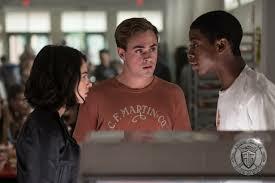 Both episodes also feature teenagers in a positive light, both as community activists and mentors to younger kids. It was sort of the in-thing to do at the time. The episodes are a tie for me because they both showed what Power Ranger is, but they accomplished it in slightly different ways. Food Fight has Bulk and Skull buffoonery, and the team using their smarts to beat the monster. I, Eye Guy has weird technology, and incredibly bad Eye puns. (Eye, Eye!) How can you choose? As I said above, and in the first post about Day of the Dumpster, the first bit of Power Rangers was in a weird place. 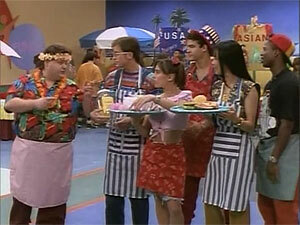 Food Fight has very weird camera angles, and even weirder reactions from the extras involved in the titular food fight. I, Eye Guy has a child actor being dubbed by a voice actor, a staple of the series. While the dubbing is not bad at all, the voice just doesn't match with the character and it completely takes you out of the episode. Plus...how is anything at that science fair related to science? The episodes manage to stand out because of their monsters, more so than the human characters, and that prevented them from being higher up on the list. Nostalgia can only go so far. How do these episodes possibly influence the new movie? Food fight gives us another staple of the Power Rangers franchise- farce, and I, Eye Guy gives us yet another- outlandish inventions made by kids. We know there's a cafeteria scene in the film where food is exploding, and we know that Billy build at least two explosive devices. There's definitely a connection there.